Description: Beautifully upgraded 4 bedroom 2 bath home near Stribley Park in south Stockton. 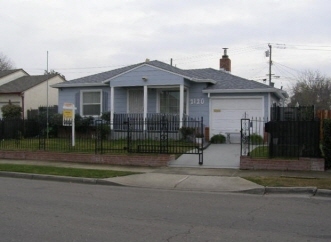 2-car detached garage with access from gated rear alley. Includes large enclosed patio, fireplace, extra storage or hobby room and lots of wrought iron throughout. This family home built in 1947 is in near perfect condition and is priced right!